The world is full of things that generate curiosity at different levels. The limitless ocean, the vastness of the sky, green clad mountains, even the butterfly moving from flower to flower all generates some kind of amazement or curiosity that prompts our mind to investigate the mysteries behind. The solar system, the sun and the moon all representing the mega world, the size, the vastness, all amazed us. But the fact is there is enough space for these giants to thrive. But think of another situation, a meter divided by 1000 is the millimeter, one unit in a scale. A pin head can accommodate 100’s of cells. A cell which we cannot see, touch or even feel. We are made up of trillions of cells and all works 24x7 in harmony to keep us alive. But we are not even aware that thousands of cells are replaced every day. Antonie Philips van Leeuwenhoek, a cloth seller whose hobby of making lenses to magnify things paved way to a world that humanity never peeped into. He took a drop of pond water and placed it under his crude lens. He was amazed to see hundreds of minute creatures moving around seemingly with a purpose. But it was difficult to believe at that time where our minds were filled and astonished with the brilliance of giants in the universe, the sun, the moon, the planets, the ocean all representing a mega world, where our mind is the only limit. The stepping stone towards our understanding of life started there. A world, where simplicity is limited in size only but not in purpose or performance. Here space is not a limit, and confinement with maximum efficiency is the rule and that is life. It took many years of relentless communication with Robert Hooke to make him convince that a bigger world is there but in an unimaginable size. Our focus suddenly shifted into this incredibly beautiful micro world. Robert Hooke (1635-1703), after examining thin slices of cork under his crude microscope, found out that it was made up of identical compartments and he called these compartments the cells (Latin: cella-chamber). Later many scientists, using advanced microscopes placed many creatures under the lens and amazed to see the similarity, the unity amid all these diverse life forms. Schleiden and Schwann proposed cell theory (1838). Cell is the basic functional unit of life. All organism are made up of cells. The third tenet was rightly added by Rudolf Virchow (1855) that all cells arise from a pre-existing cell. All these diversity in life forms that we are witnessing now could be traced back to an ancestral cell. Now, thousand of publications come out every year on different aspects of this minute structure “THE CELL”. When we learn more about cells, the reality is we are lagging behind very much that what we know now about the cell is not even a drop, and unknown is definitely much more than an ocean. But our curiosity propels us forward amazed, amazed and amazed each time. Now we are used to these amazements. In this post, I would like to share you the topic “A journey through the cell”. The cell and its organelles, notes prepared with an intention of supporting you for your exam preparation, at the same time not missing the curiosity behind. Remember, your imagination is the key in understanding cytology. Think of a cell, as big as a factory or a building and put different organelles assigned with different functions. Create a picture in mind, and move forward. Indeed, the biggest luck you have I think is you got a chance to study biology, the science of life. 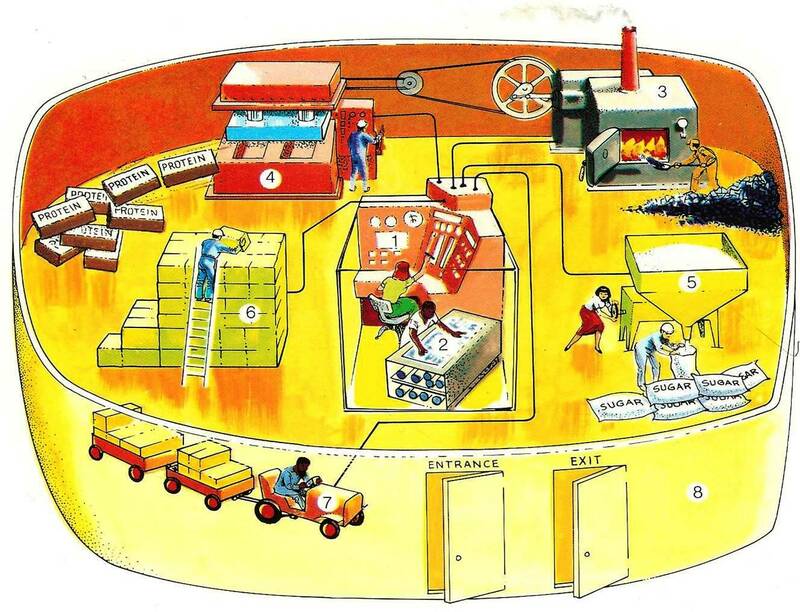 Cell as a factory: Find out the the organelles involved in running different departments?